Tuesday night trailwork has started for 2019! Emails and posts will contain locations and more information. 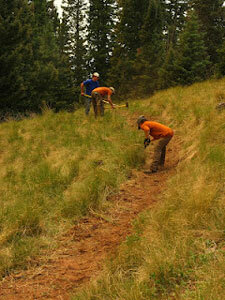 Be ready for a fun and rewarding experience giving back to the trails we all love!!! Join SWCCA for monthly trail work! Watch for emails and Facebook posts with locations and times! Southwest Colorado Cycling Association SWCCA is a registered nonprofit organization. Formerly Kokopelli Bike Club. Members are primarily from southwest Colorado in the Cortez, Dolores, Mancos and Durango area. Local trails include Phil's World, Boggy Draw, Sand Canyon, Bear Creek, Stoner Mesa, Calico, Colorado Trail, Blackhawk, East Fork, Salt and many more. Members range from serious endurance racers to occasional cyclists and include both mountain and road bikers. The SWCCA benefits the area in many ways. It leases property where a significant portion of Phil's world is located and pays for the required insurance. 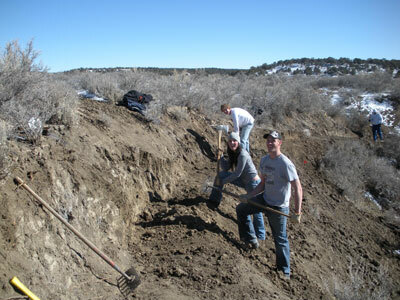 Members volunteer for trail maintenance and trail building using the extensive collection of tools purchased by the club. The club keeps members informed about important land use meetings and projects requiring comments to maintain mountain bike access. 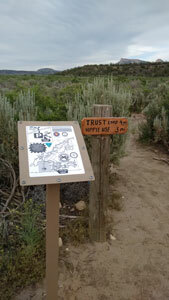 It has also proposed many new trail plans to the land managers and member support and input is critical. The area hosts a variety of local races including endurance, cross country and cyclocross. Simply put, if the SWCCA didn't exist most of the trails you ride would not be there. Thank you for your support!!!!! The club also promotes a variety of local races including endurance, cross country and cyclocross. Copyright 3/2016 Southwest Colorado Cycling Association. Photos provided by Dean Howard.